Having had the very successful interview back in September with Gus, I was very excited to attend the band’s tour in Dublin in the Olympia Theatre. And I can sure as hell tell you we were not disappointed. Receiving excellent treatment from the venue we were directed up a hallway, down a staircase, up another and into one of the high rise boxes. I felt a little looked at but I think I secretly loved it. Unfortunately the place is as expensive as it is beautiful, so it’s worth bringing your own nibbles in. Opening night was started by the melodic, smooth sound of AK Paterson. Beautiful resonated vocals rang through what seemed like a very unappreciative audience. The choice to pair this acoustically sounding folk band with the electric vibrations of alt-j was a very interesting decision, but as it’s clear through the boys’ music that they themselves hold a lot of value in folk sound, it felt very right. 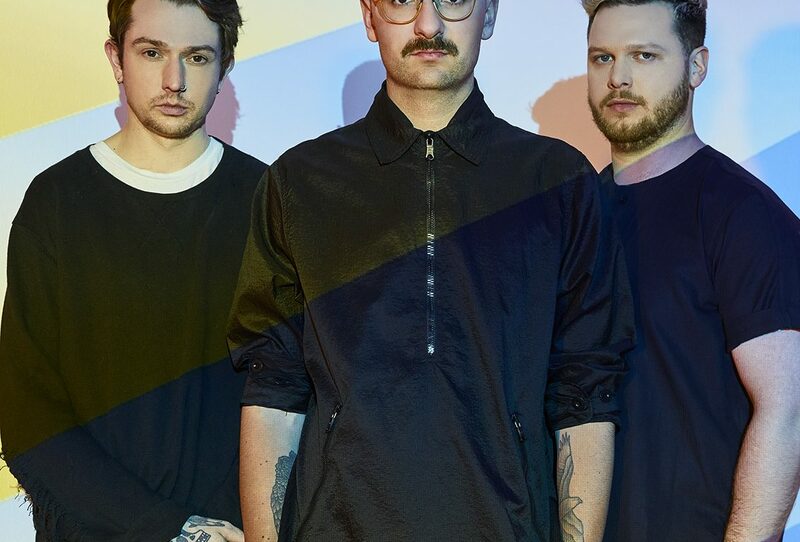 If you are a fan of alt-j and folk vocals please give these underappreciated beauties a listen as I can’t imagine it will be long before they are fairly inaccessible among the stars. Though a wondrous opening, no one in that beautiful venue could have been prepared for the following hour and a half of pure light that alt-j gave. Now the boys, in no shape or form, are stage performers. And to be completely honest I was skeptical about the newly released remix album Reduxer that seemed to be striving for more recognition, as opposed to reaching new boundaries like the band had before. But though I was not a fan of the new album, boy did the guys prove to me how much I do love their music. With excellent mixing and referencing of old and new stuff they hit the nail on the head with their set list. Spaced intermittently with favorites, the crowd was kept interested by the old familiars paired with new material. On the tracks off Reduxer, digital versions of the guest rappers featured on screen in the background, visually stimulating the otherwise inactive musicians. How the boys have made it so far as such unimpressive crowd players is obvious in the way their music rings through body and soul. Now considering the hype online surrounding the lighting design for the tour, I was ready to have my socks blown off and my god they were. Jeremy Lechterman, Jackson Gallagher and their team deserve some real recognition for creating a show equal in diversity and power to that of the music. Making up for non-performative artists is a toughie but using 10 foot tall LED strips of lights to light and react in time to the music specific to each track? Absolute genius. The lights made up for in visuals where the boys lacked in movement and the collaboration made for a truly captivating show. I was lucky enough to have been given two tickets to see the gig so brought my fairly alt-j oblivious boyfriend along and I am proud to say that the man has a few new favorites for sure. Following an encore the boys returned to stage and performed Breezeblocks. Knowing where their fans love was seeded they gave it their all and left the stage only after meeting in the middle for a bow together. The boys did me proud! Though again unfortunately, Reduxer isn’t my style, I could not have expected more from their new tour. So all in all I will always return to alt-j for a good bop or a cry when needed, and now I can take inspiration from the most impressive light show I’ve ever seen.